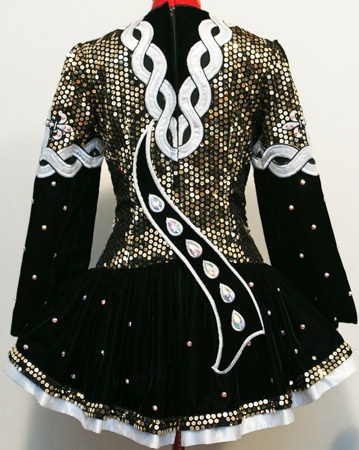 Dropped waist at seam: 35¾"
Centre back neck to dropped waist: 19"
Total back length (top of zipper to hem): 32"
Black velvet and gold sequin jacket style bodice and sleeves, with bold white Celtic knotwork appliqué and embroidery. 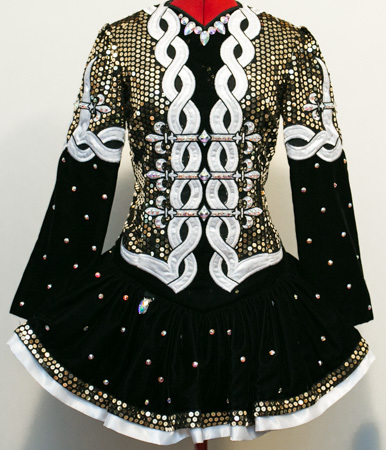 Black velvet skater skirt with matching white and gold sequin trim. 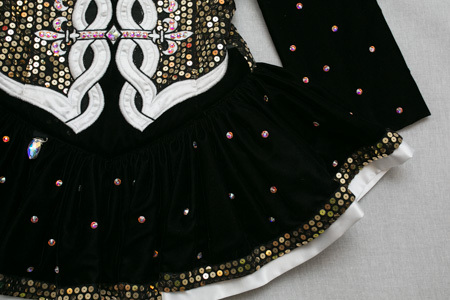 The bodice is fully lined and the underskirt is lined in a black and white striped cotton.